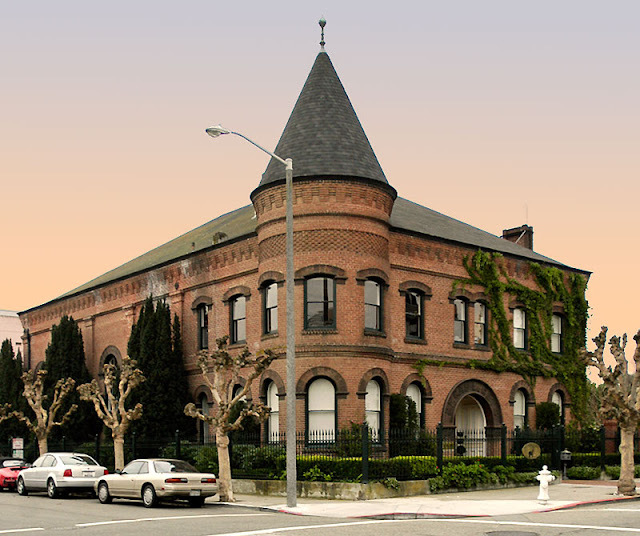 One of the most important of San Francisco's great institutions is the San Francisco Gaslight Company, whose equipment, plant and utilities are the largest of all the lighting companies west of the Missouri river. This company, during the year, moved into its handsome property on Post street near Powell, where its offices are now located. the manufacturing department is located at the foot of Laguna street, and having sufficient water front and dock privileges to permit the largest vessels to lie at its wharves. At that place also are the big petroleum tank and retort house located. The company has really a double plant–the one at the pointed named, and another–an older one–at the Potrero. At one time collector Bill Ham had possibly the most complete collection of San Francisco Gaslight ammonia bottles. 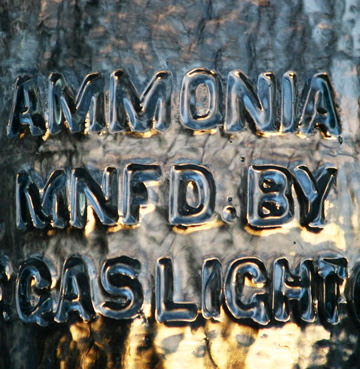 From Bill: At one time I had about 30 colored Gaslight ammonia's. At an early Mother Lode Bottle Show in Downieville, we displayed them in a cabinet at Rick and Cherry's home. Aaron Hill and the late Terry Adams dug a privy in Grass Valley back in the 1990's that contained at least 10 different colored Gaslight ammonia's ranging from a light blue to a crazy pink looking example. 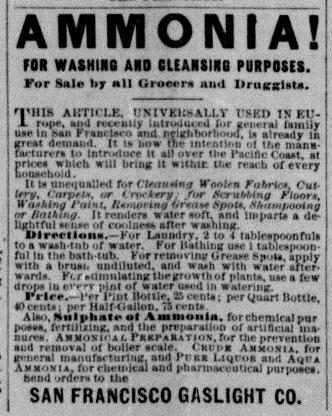 I believe at a later date they were sold to Ken Stokes. 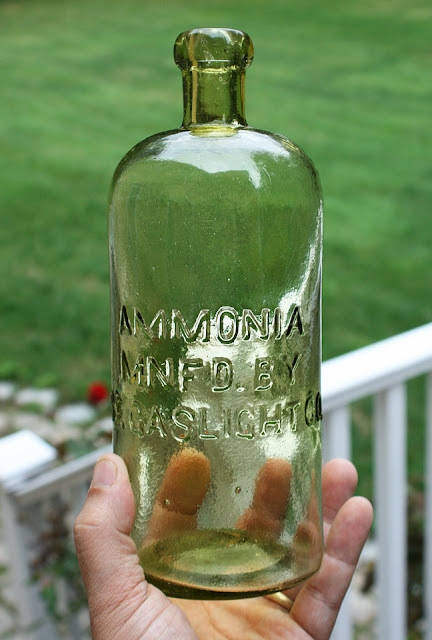 As you can see from the photos these ammonia's come in a big variety of colors and three or four different sizes and are a rare and important piece of western bottle history.